Learning NEXT: Finding the "Perfect" Test? "All of us — at the local, state, and federal level, the Education Department included — have to take responsibility for the climate that exists," he said. ”There is no question that the contentious tone has made it harder to have productive conversations." Well then. This from the acting Secretary of Education John King, former advisor to the former Secretary of Education. One of Mr. King's initiatives is to assist schools in eliminating "unnecessary, redundant, or unhelpful tests." We have heard this from President Obama and from former Secretary of Education Arne Duncan, for whom we have to thank for many of those Race to the Top inspired unnecessary, redundant, and unhelpful tests. No Child Left Behind: The law required states to test students on math and English every year in the third through eighth grades, and then again once in high school. It also required at least one science test in elementary, middle and high school. Every Student Succeeds Act: States must still test students in the same grades but will now have flexibility in how and when they administer those tests. For example, a single annual assessment can be broken down into a series of smaller tests. There's also an emphasis on finding different kinds of tests that more accurately measure what students are learning. So now they're going to try to find better tests. Which means that purveyors and manufacturers of such tests are going to figure out how to take what they sell now and break them down to series of smaller tests that somehow manage to measure student learning more accurately. And purveyors and providers of test prep are going to scramble on that bandwagon. There is money to be made! Here's the thing that students and teachers and parents have been saying for decades: Tests do not measure student learning. I don't know how to say that any more clearly. Tests measure students' abilities to remember stuff, to guess well, to perform reasonably well under pressure, to manage their time well. Learning? Not so much. That's not to say all tests are unnecessary, redundant, or unhelpful, but any test, especially large-scale, timed, complete-the-bubble tests must be considered in context. The result of that test is a single data point. Universities are wising up to the fact that an ACT or SAT score is only one data point and does not, can not, and should not reflect a student's learning and growing experience over however long it takes for students to complete high school. The factors informing that timeline and what students were doing while trying to complete high school are also important and informative data points. It's my opinion that the big standardized tests are mostly for states' bragging rights, and then district bragging rights. And funding. They are not really about how well teachers teach or how well students learn. And there is no such thing as a better one-size-fits-all bubble test. Maintain accountability by guaranteeing that when students fall behind, states target resources towards what works to help them and their schools improve, with a particular focus on the lowest-performing 5 percent of schools, high schools with high dropout rates, and schools where subgroups of students are struggling. Balderdash. The test is too late. Any test is too late. All that formative assessment that teachers do? That's what matters. That's when teachers can alert someone that a student is in trouble, or poised to be in trouble. There are a number of factors that teachers and others at a school can take in account that can serve to inform--if anyone is paying attention--that a student is struggling. Then what's needed are the right processes and procedures, without a lot of absurd paperwork in triplicate, and then the right people to provide the best possible support. We want educators to be accountable for making sure kids learn? Then get out of their ways! Reduce nonsensical paperwork and absurd expectations. Treat them like professionals. Don't hamstring them with ridiculous rules or by tying their performance to a moody 6th grade test taker. Preserve annual assessments and reduce the often onerous burden of unnecessary and ineffective testing on students and teachers, making sure that standardized tests don’t crowd out teaching and learning, without sacrificing clear, annual information parents and educators need to make sure our children are learning. Can a whole sentence be an oxymoron? If so, this is an example. I don't know. Call me crazy, but I kinda thought that report cards were designed to provide annual information. Sure, we have teachers who aren't great at what they do and teachers who grade on a curve, and all kinds of other issues in the classroom. But why in the world would anyone think some bohonkin' big test would help identify those problems? By the time anyone gets those test results, that struggling kid may have moved on to a new grade or even a new school. So the data is, um, what's the word? Oh yea, worthless. I get to do some instructional coaching with teachers. That work effectively shuts down in March and April as schools gear up for tests. What that tells me is that for several weeks the entire education community is focused on getting kids tested. What that tells me is that for several weeks actual learning is probably taking a holiday. Not because the education community wants this, mind you. Teachers have no choice. Will that change with a "better" test? Get real. If we want to improve education, we have to stop thinking that we have to do quality control tests on each product as it comes off the line. These are kids with imaginations and capabilities who manage to endure school so they can go to after-school or other programs to engage in the kind of exploration and discovery we can only dream about in our classrooms. Sir Ken Robinson talks about the need for a revolution in education. I've heard others speak of it. I think Max Ventilla (@ventilla) is doing some revolutionary work at his AltSchool. I think schools pursuing competency-based learning and other avenues to encourage and challenge student learning are on the right track. I think student success and even demonstrable learning is possible without tests. 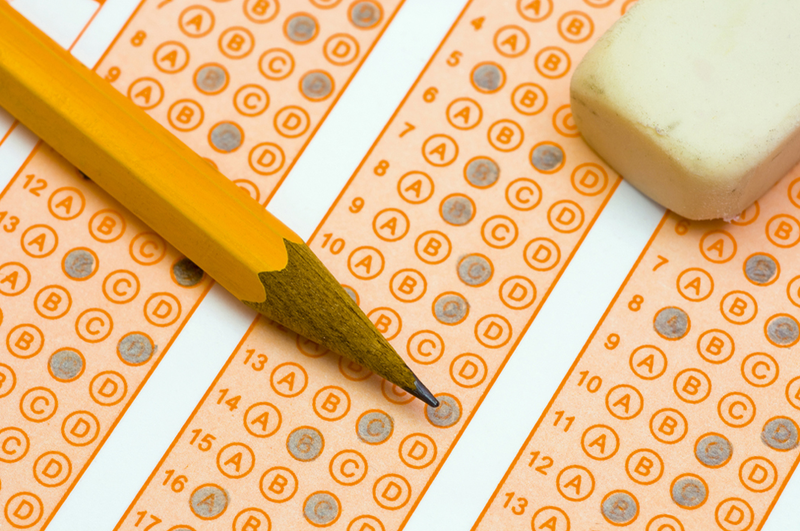 Getting our educational culture to relinquish its grip on testing is another issue entirely. Trends or Fads: The Bandwagon Beckons?